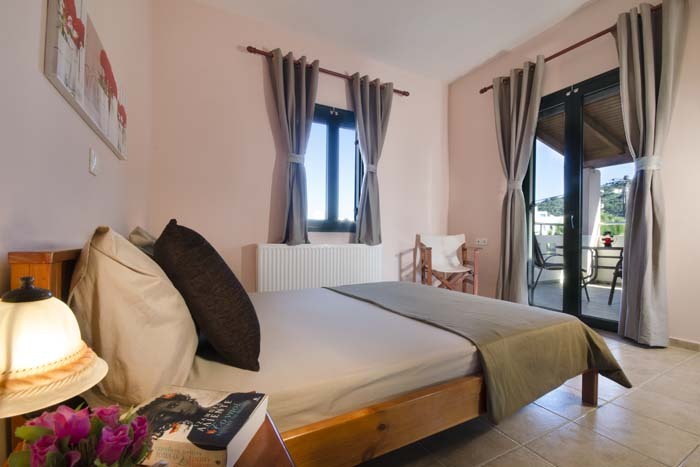 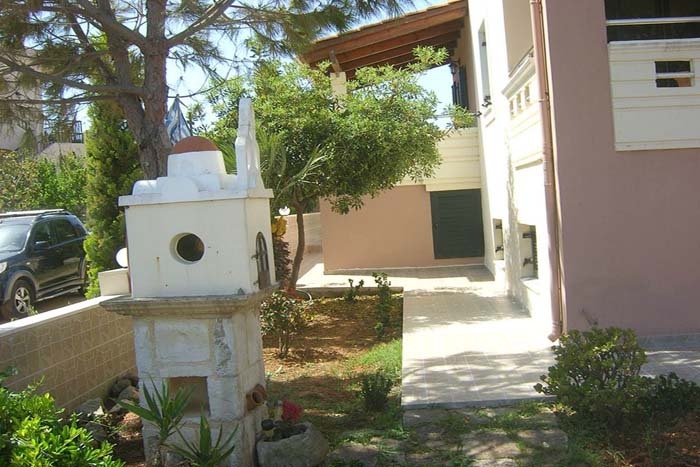 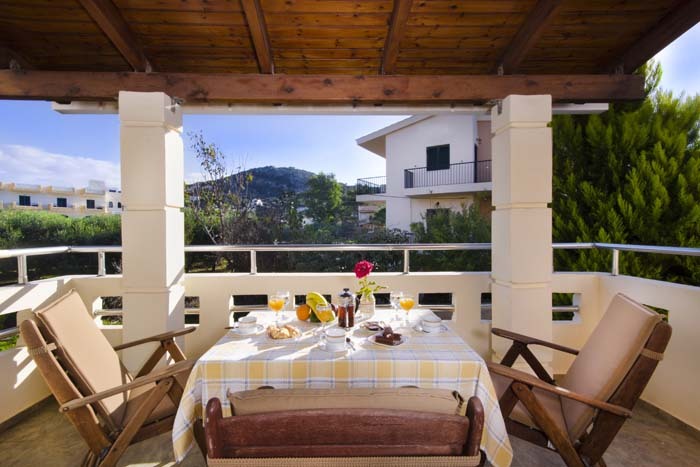 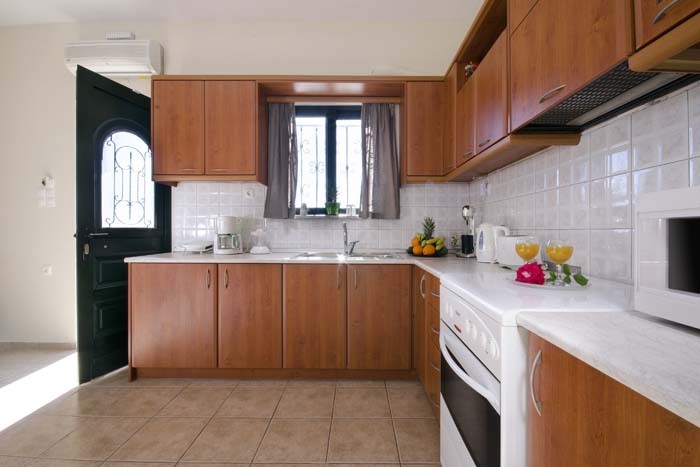 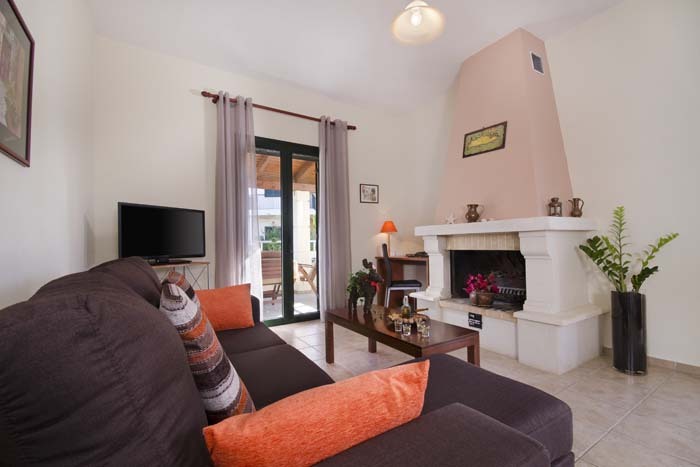 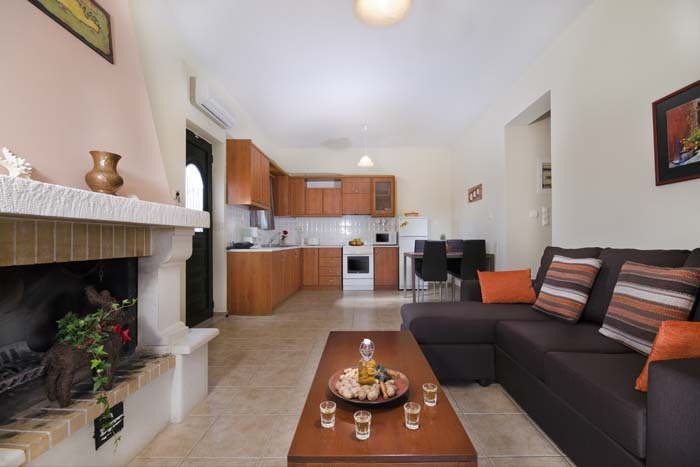 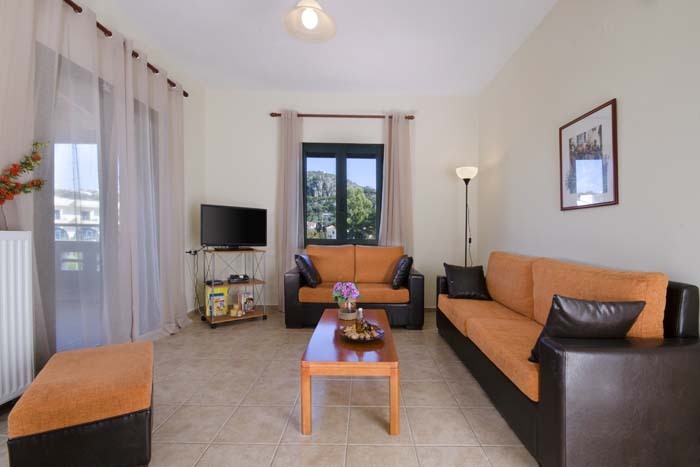 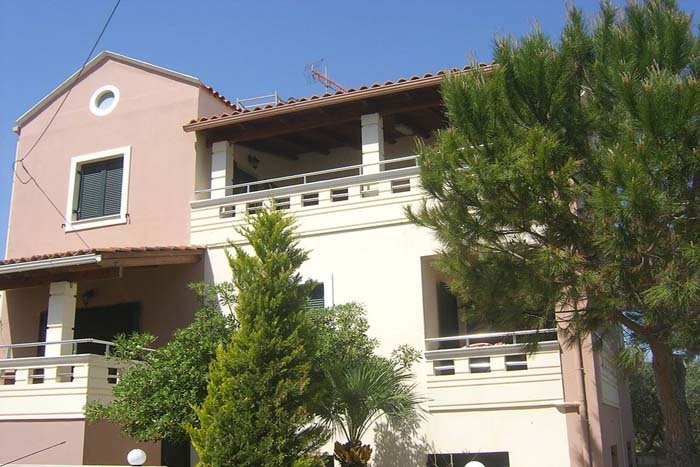 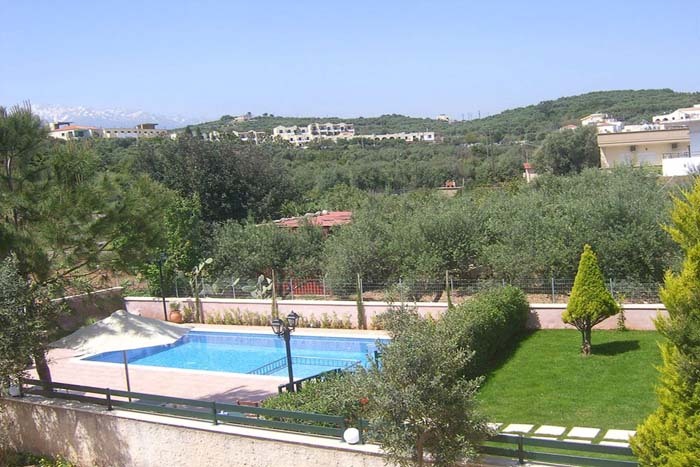 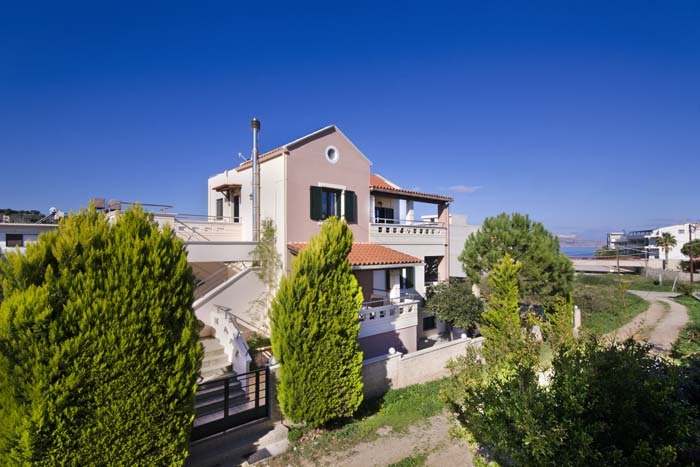 Villa Alpha consists of two independent apartments (one on each floor of the building) connected with an external staircase. 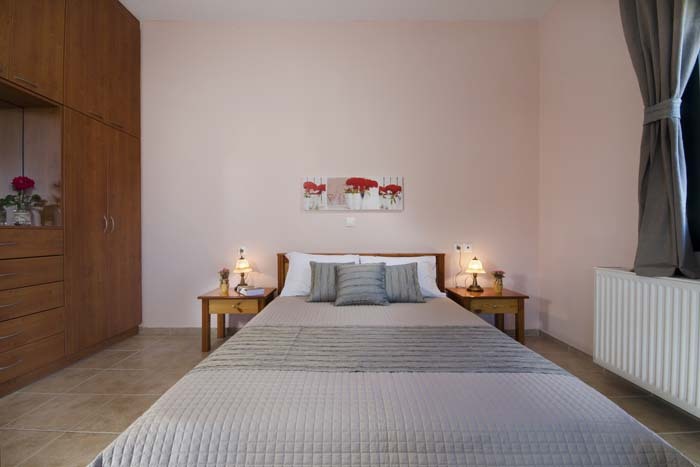 The first floor features a living room with a fireplace, a kitchen with a dining area, one bedroom with a double bed, one with twin beds and a bathroom with a tub. 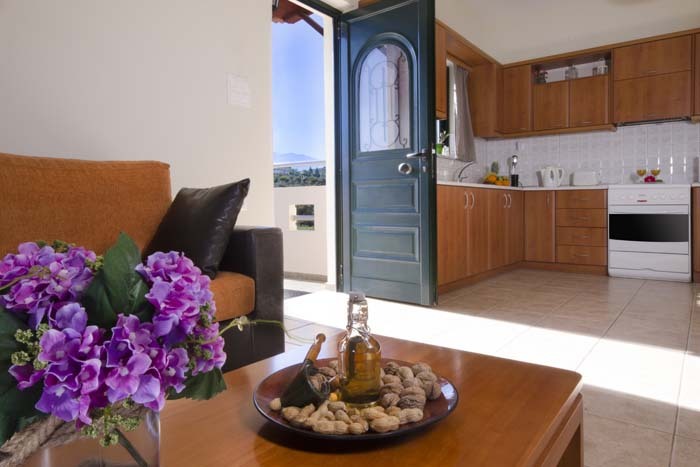 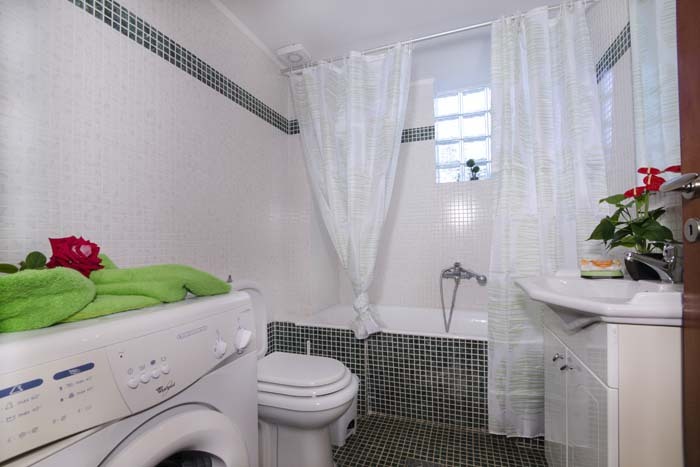 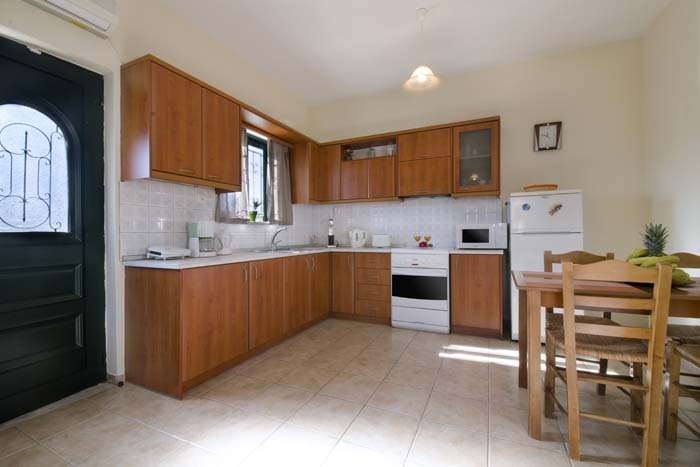 The second floor has a kitchen with dining area, a living room, a bedroom with a double bed and a bathroom with a tub. 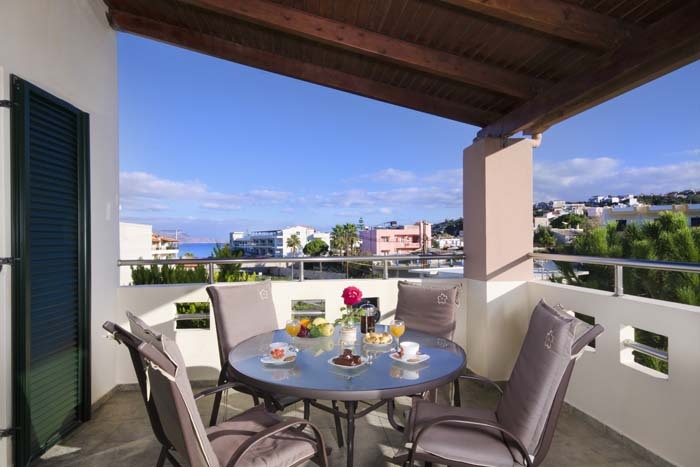 The balconies from both floors offer beautiful views of the sea. 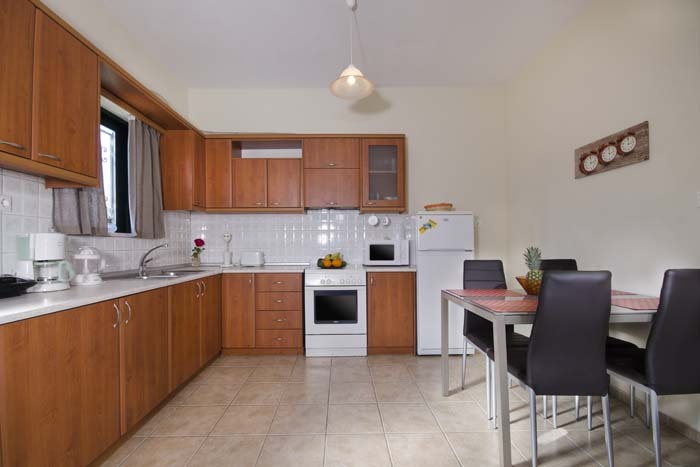 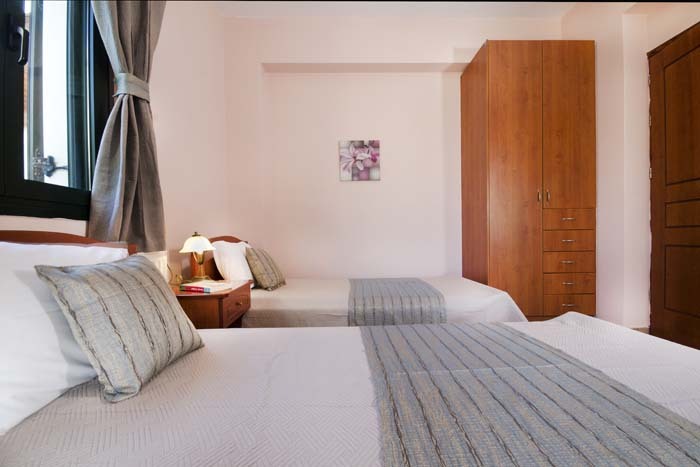 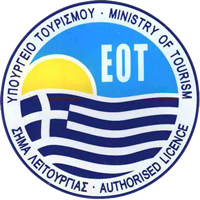 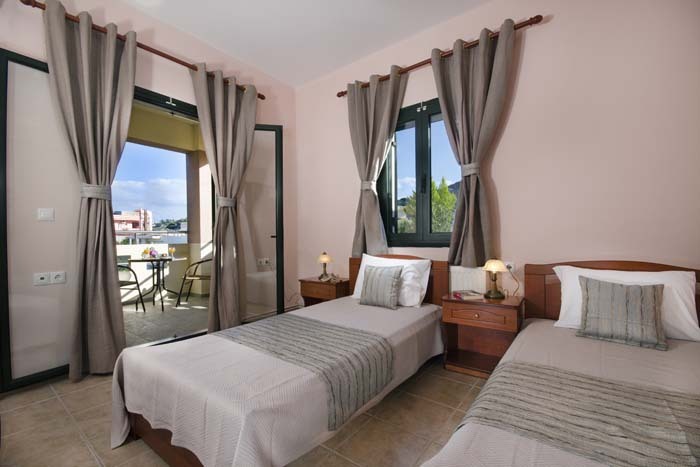 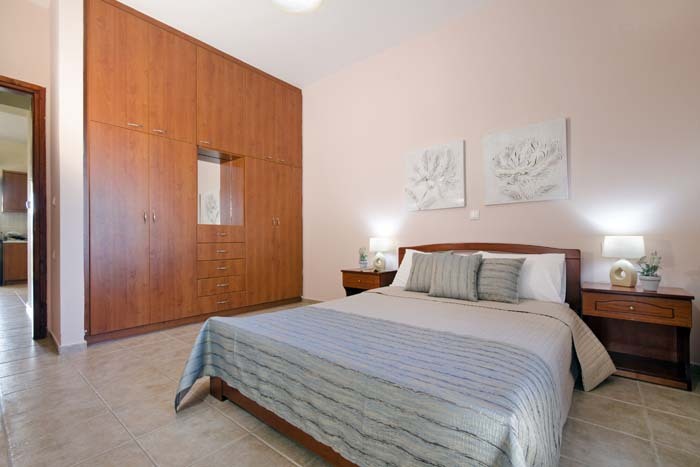 *If requested, extra beds can be arranged one on each floor for 20 euros per bed per day. 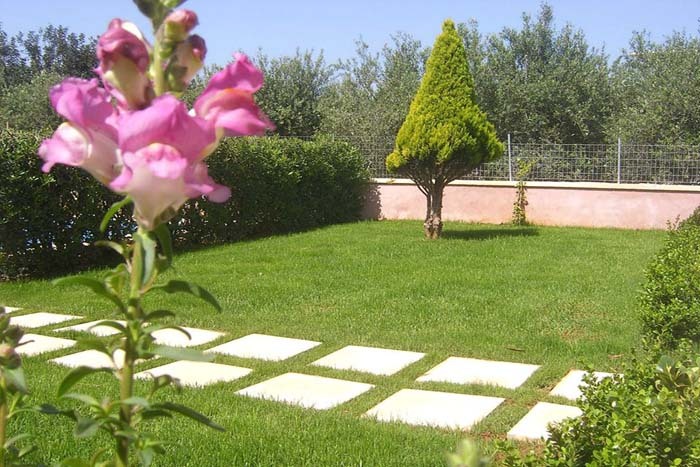 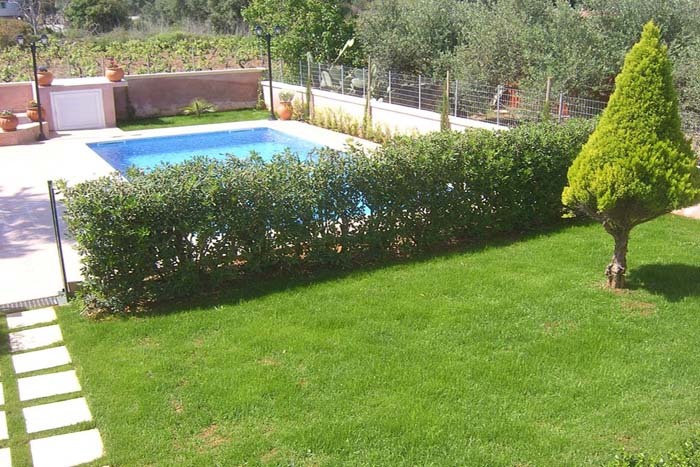 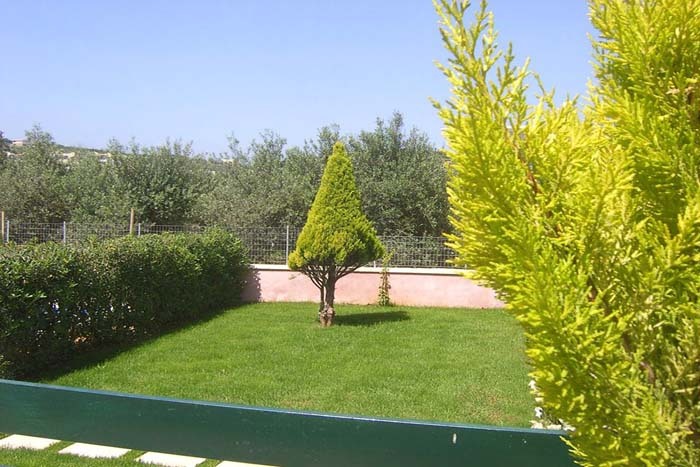 Villa Alpha has a lawn area with plants and trees. 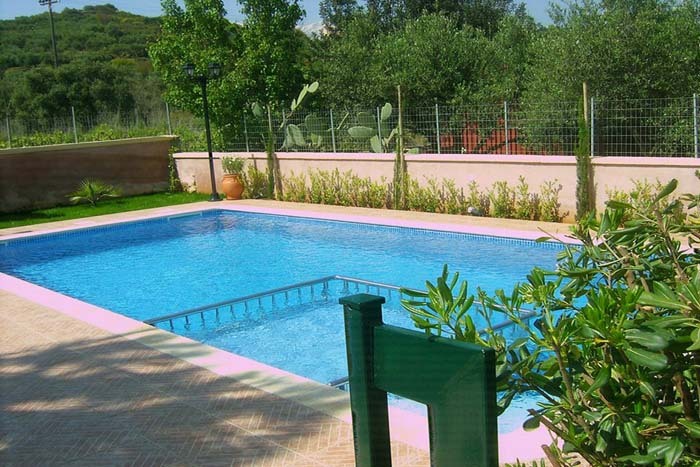 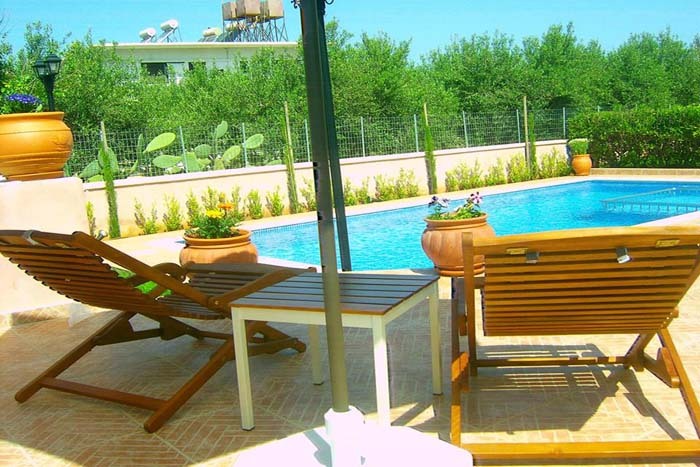 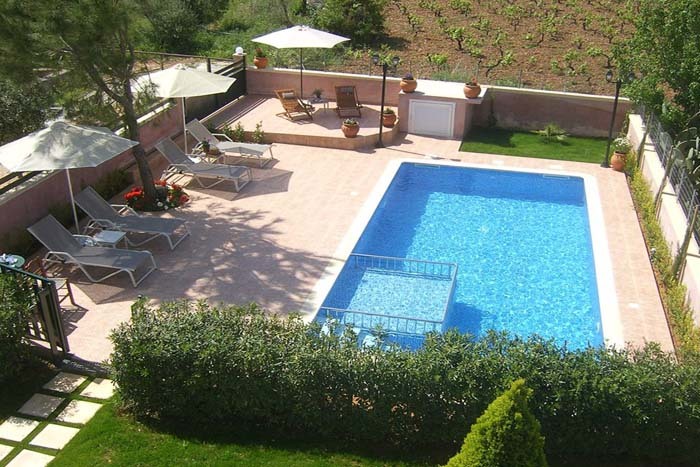 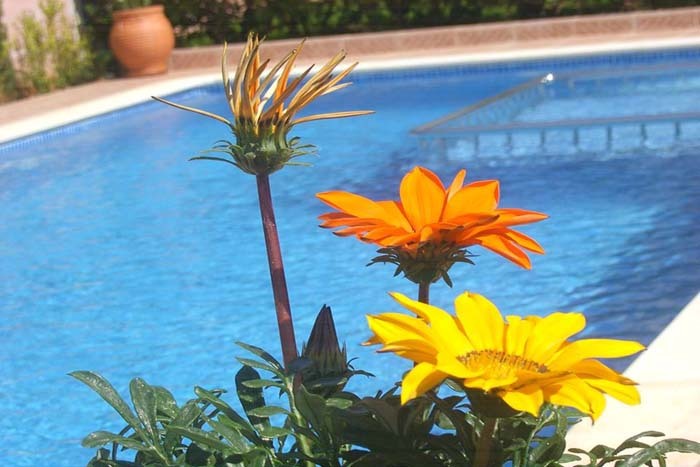 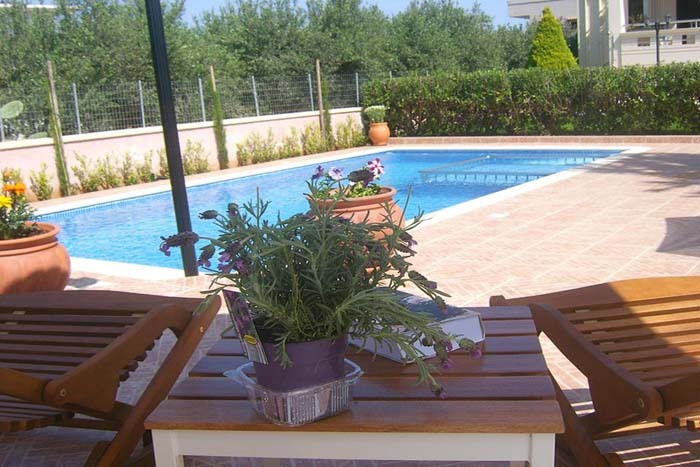 There is also a private pool with a children’s pool spot with sun beds and umbrellas. 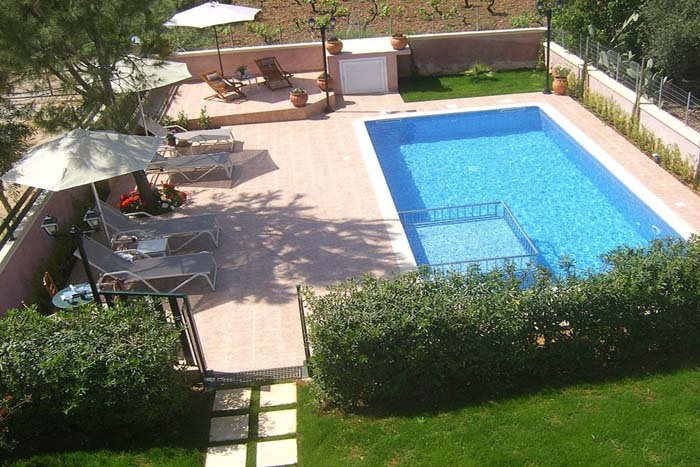 The pool area can close with a door for the safety of the children. 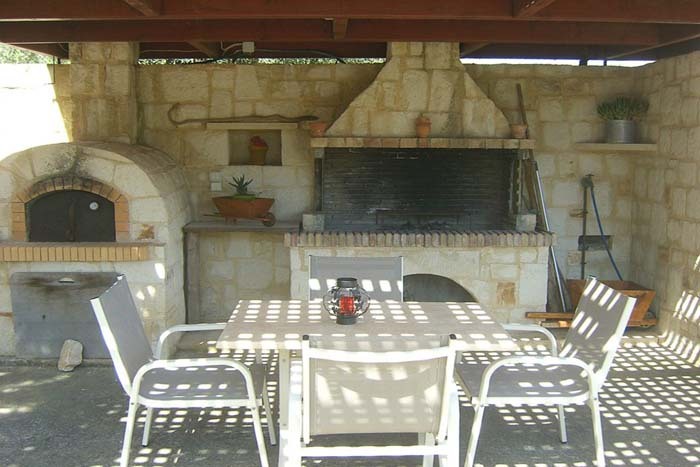 The house offers a shaded BBQ area with a dining table while its guests have available 5 bicycles to move around the area. 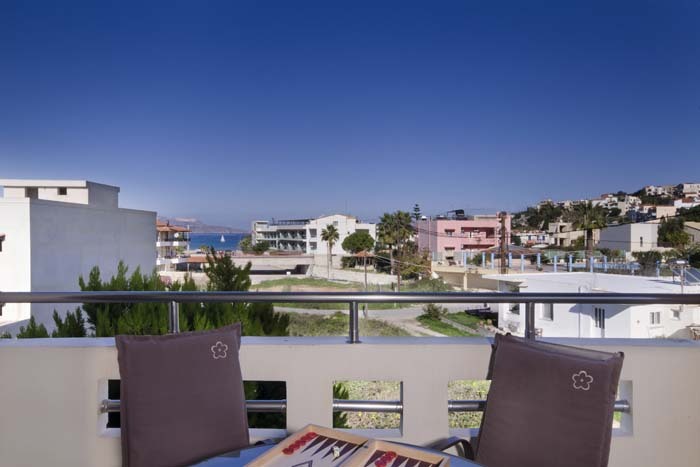 The beach, shops, restaurants and cafeterias are only 100-150m away.